In the ERP-Scale configuration utility, click on the XML Templates tab. Add a new template. 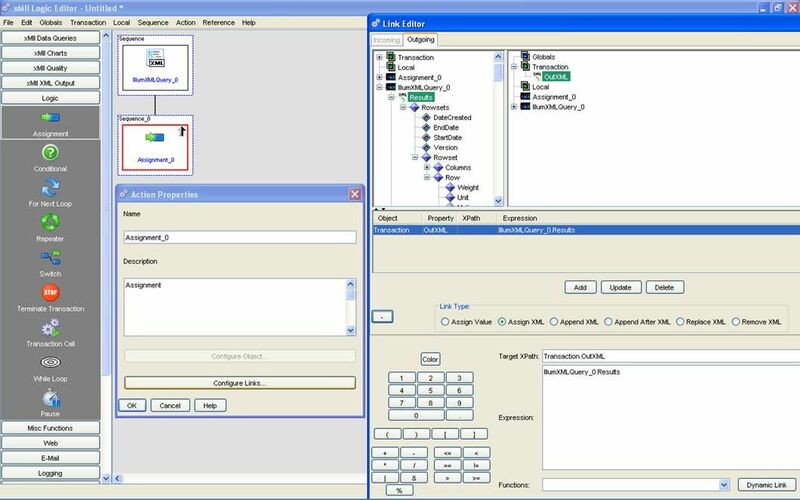 The templates can be inserted by first selecting a device and then selecting a default. 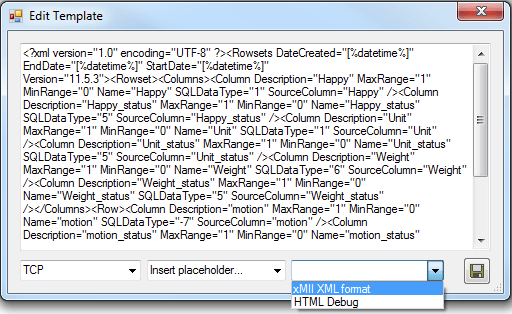 Step 1: Create a new XML query and enter the Source URL. No Transform URL is necessary as the data returned from the source is already in the standard MII Rowsets-Rowset-Row xml structure. 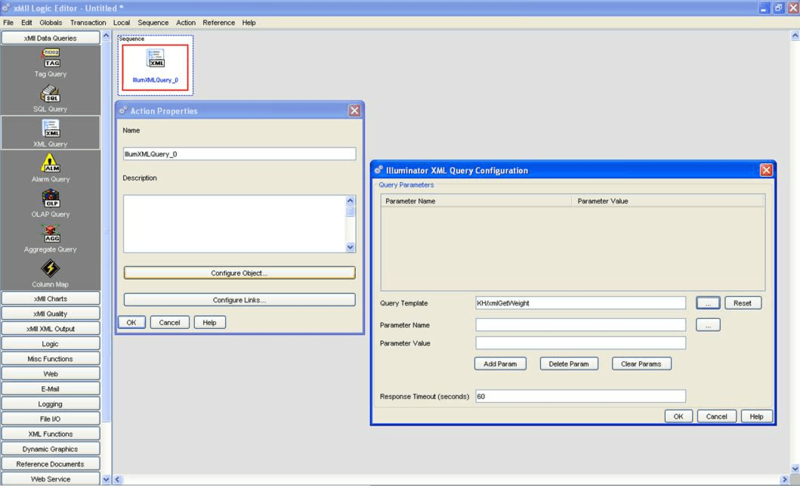 Step 2: Consume the XML query as required, for example within a Business Logic Transaction.